When you think of your mother you may remember the time she painted your room to the time she admired your painted toes... from the fancy colorful dinner she placed on the table to the fun colorful spring outfits she made you wear... when you think of mom, I hope you think of the color she has added to your life!! 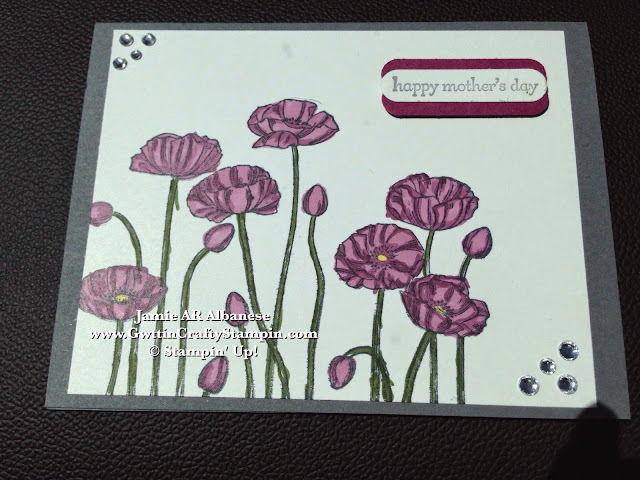 Join me in sending some Colorful Wishes this Mother's Day to those special ladies in your life! *These new Blendabilites and Memento Pads will be available to purchase June 1st... they are a MUST Have!! Schedule a Private Class and See, Play and Color Your World FABULOUS while earning them for FREE! This new Three Step Coloring System using the New (and AWESOME!!) Blendabilites is a blast! These Alcohol ink markers blend and shade for a stunning depth and movement to your card! In order to use the Blendabilities you must stamp the image with the Memento Ink Pads for a sure image. Here the Basic Grey was paired together with the Rich Razzleberry for a pretty look by the Color Coach. 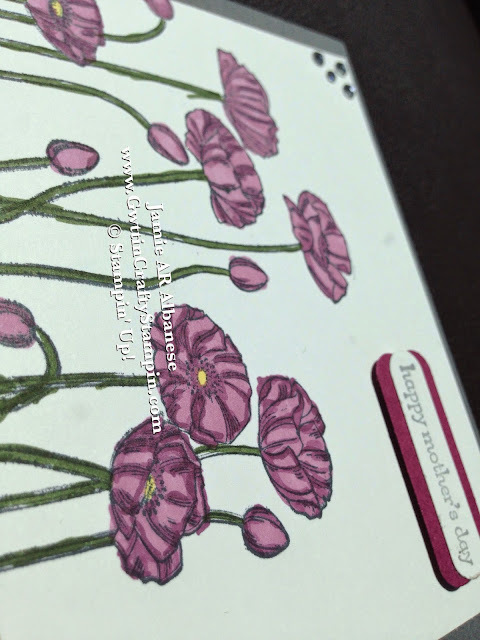 Here using the Teeny Tiny Wishes to stamp this Happy Mother's Day greeting with Basic Grey ink on the Whisper White card stock resulted in a blurred sentiment (ugh!!). Cover this up by punching two Rich Razzleberry Word Windows and another stamped Whisper White piece that has the greeting clear. 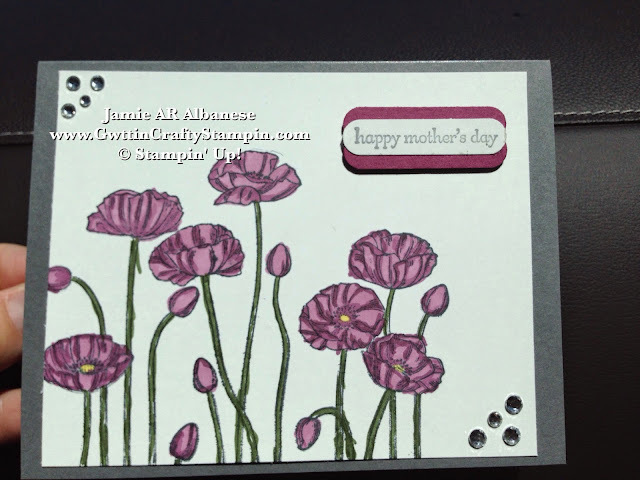 Layer for a pop of additional coordinated color and raise it on the card with the Stampin' Dimensional adhesive. Add a dash of sparkle with our adhesive backed Rhinestone Jewels. They are so stunning and show how pretty your mum may sparkle. I know, as a mom, I try so hard to add color and sparkle to my children's lives. I try to show them the beauty of life that surrounds us.. and as Mother's Day is here, I'm blessed to see how they color myyy life!! So send some color to the woman who colored your life - beautiful. I couldn't resist sending some color to my Mom and even my Aunt! Celebrate those women in your life with a card that will never lose it's color.